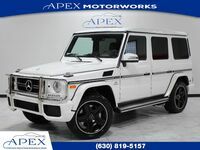 Finding the right luxury vehicle will never be a challenge at Apex Motorworks. If what you want is the very best, then chances are you want a Mercedes-Benz S-Class. 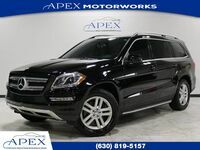 We can provide exactly that with our selection of used Mercedes-Benz S-Class models in Chicago, IL. Outside of the truly opulent and rare Mercedes-Maybach models, the Mercedes-Benz S-Class represents the pinnacle of luxury, but through our acquisition of high-quality examples, we can provide you the S-Class that you want without the S-Class price. 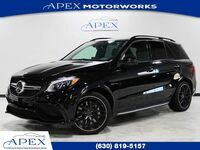 You can see for yourself by clicking the link below and searching through all that we have to offer in our Mercedes-Benz inventory. You will find S-Class models as well as a variety of other Mercedes-Benz models. 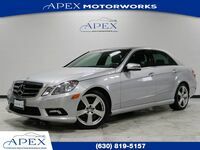 You can also keep reading to learn more about Apex Motorworks, our inventory, and the S-Class in general. 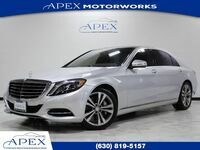 Why buy a Mercedes-Benz S-Class at Apex Motorworks? For starters, Apex Motorworks makes everything simple. From working with out-of-state customers to ensuring that our inventory has the very best vehicles with the very best prices, we make working with us easy. We will be here for you. What’s more, with our convenient location in the Chicago suburb of Burr Ridge, we are easy to get to from all of Chicagoland and the surrounding areas. 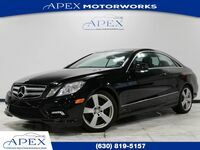 We routinely have many S-Class options in our inventory including the S 450, S 560, and more. 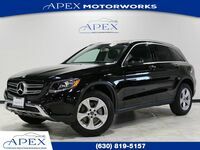 Additionally, many of our options come fully loaded with features and even include Mercedes-Benz 4MATIC all-wheel drive. As with other Mercedes-Benz vehicles, the S-Class offers AMG performance options that are ready for you to put the pedal to the metal. With the AMG heritage and design principles, along with a more powerful engine under the hood, an S-Class AMG model such as the S 63 or S 65, is bound to stretch a smile wide across your face. If you’ve already searched through our Mercedes-Benz inventory, and can’t find the right S-Class, AMG, or other Mercedes-Benz model for you, then we can still work for you. Not only do we have a huge inventory, but we can leverage our position in the dealership community to find you the exact car that you want. 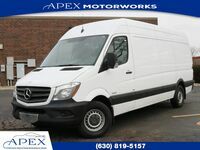 That’s right, you can order the pre-owned Mercedes-Benz of your dreams right here at Apex Motorworks. You can request more information about ordering, about our Mercedes-Benz inventory, or about our dealership in general by clicking the link below.